Slipping and falling can be very embarrassing. 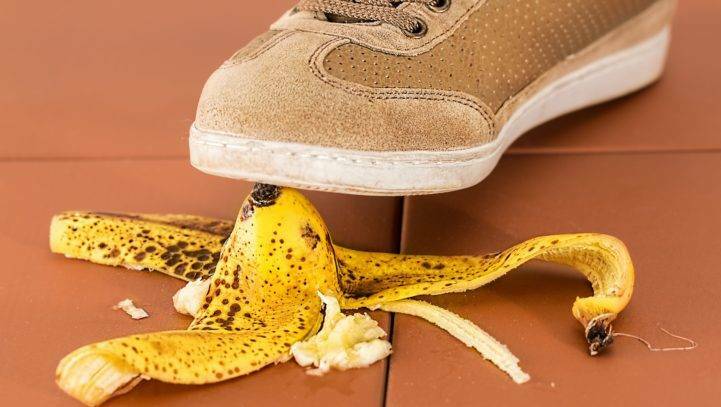 Whether you’re passing through Pelham and stop for a coffee, trip over a tree branch while picking apples in Amherst or step over something at the Raymond town fair, a slip and fall accident can happen anytime, anywhere. Slip and fall accidents cause more than 20,000 fatalities in the US every year. Accident-related expenses estimates are a staggering $32 million per day! It’s the second leading cause of disability and death in the US alone. Injuries from these accidents range from minor (bumps and bruises) to severe and catastrophic (broken bones, traumatic brain injury and death.) You can also suffer lost wages as well as a permanent disability as a result. It’s easy to dismiss a slip and fall as an awkward accident. And if you’ve sustained a couple of bruises (including your ego) you’ll be fine. But if your injuries are severe, and you add up the costs of medical care, prescriptions, physical therapy, lost wages and other related costs, a little fall can be very expensive. Property owners have a responsibility to keep their place safe for visitors at all times. Sometimes a dangerous condition isn’t noticed in time, or just ignored. Sidewalks, especially public sidewalks, take time to repair. But slip and fall accidents are frequently the result of someone’s negligence. The property owner and/or manager should have taken care of it once they were notified that the hazard existed. Even being careful can still result in slipping and falling if you don’t see it. Always be aware of your surroundings while you’re walking, especially in an area you’re not familiar with. Think about it—insurance companies want nothing more to settle your claim for as little as they can. They don’t care that you’re injured, need medical care and time to get back on your feet. They’re ready to pay you off and write you off as quickly as they can. Additionally, many businesses employ risk management personnel that can quickly eradicate any evidence of your accident. Hiring an attorney to investigate can increase your chance of having evidence to prove fault. Your cell phone’s camera is invaluable. Take as many pictures as you can of the scene of your accident before it’s cleaned up and the evidence is gone. You can still tell your side of the story, but without pictures, it’s easier to dismiss your case. If you’re seriously injured, you may not be able to negotiate a big enough settlement on your own. You may need to file a lawsuit to recover. Finding and hiring a personal injury attorney right away, especially for serious injuries, is your best weapon in the fight to get compensation. New Hampshire personal injury law includes “modified comparative negligence.” That is, if you are partly at fault for your accident, a percentage of fault (i.e., 15%) is assigned to you. Your settlement can be reduced by that amount. If you’re more than 50% at fault, you won’t receive a settlement. For instance, if you trip while walking through a mall, you may be awarded $50,000. But because you were talking on your phone, your settlement can decrease by 25%, and become $37,500. New Hampshire allows three years to file a claim or a suit for a slip and fall accident. If you don’t file within that time frame, with rare exception, a judge can dismiss your case. It’s best to file your claim as soon as you can, so that if a lawsuit becomes necessary, you have plenty of time. We hope the only injury you sustain in a slip and fall is a bruised ego. But if your injuries are more serious, and you need help getting compensation, call us. Contact Cohen & Winters today to find out how we can help you. We’ll defend your rights and help you get the compensation you need to recover from your injuries. Call us at (603) 224-6999 (or use our online contact form) to schedule a free 30-minute consultation to discuss your case. Our contingency fee arrangement means you won’t have to pay a fee until we win your case for you.